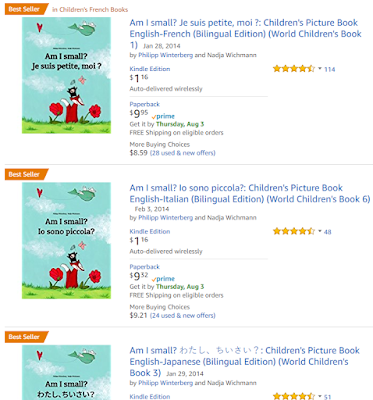 Available in 150+ Languages: Most Wished For Children's Picture Book "Am I Small?" 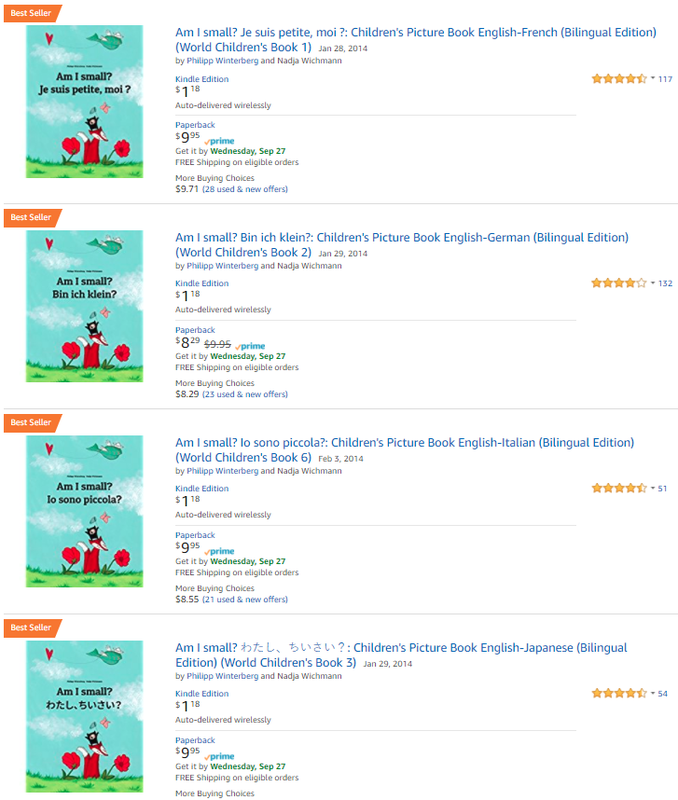 The World Children's Book "Am I small?" 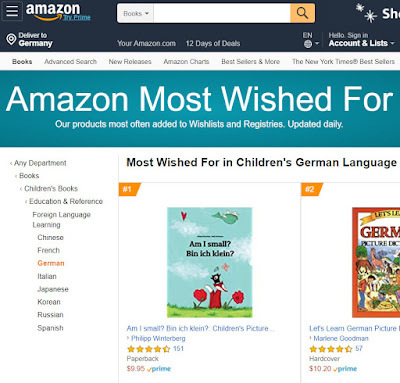 is not only "Most Wished For" at Amazon, but also available in more than 2.000 bilingual editions in more than 150 languages, featuring at least one official language for every country on earth! Every one of the 150+ languages is available in combination with these twelve popular languages: Arabic, English, French, German, Hindi, Italian, Japanese, Mandarin Chinese (simplified), Portuguese (Brazil), Russian, Spanish and Swahili. Swiss: Solothurn, St. Gallen etc. New Zealand: Auckland, Wellington etc. 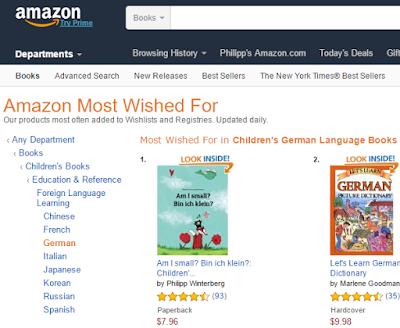 In which languages does your public library offer the World Children's Book? 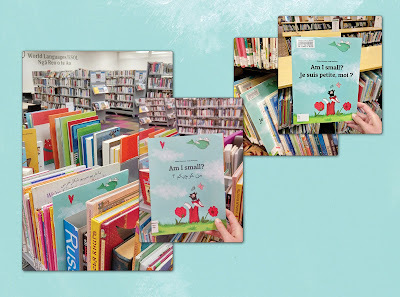 Children's Picture Book "Am I Small?" is "Baby's Favorite"
"What a clever idea for communicating self worth. My three year olds love it and the story's concept will grow with them for several years to come making it a keeper. Being a bilingual family the English /Arabic is great for everyone. The illustrations are very cute." 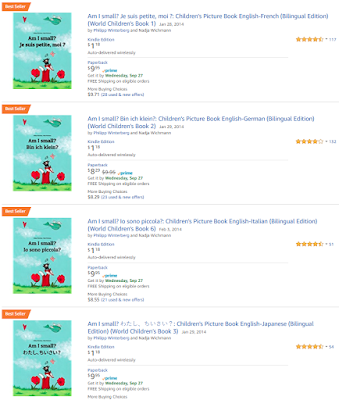 —Amazon Customer Review from the U.S.
#1 Best Seller in Japan, US, France, Spain, Germany and UK: Bilingual Children's Book "Am I small?" What do the following countries have in common: Japan, the United States, Spain, France, United Kingdom and Germany? 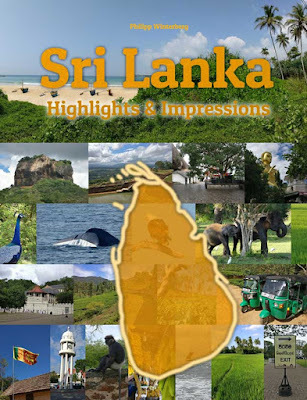 "Sri Lanka Highlights & Impressions: Original Wimmelfotoheft #5" - Are there elephants in Sri Lanka? Which color do post boxes in Sri Lanka have? Wimmelfotoheft #5 is not only fun for children, but for Sri Lanka fans of all ages. It has almost no text, but many, many photos. With the "Wimmelfoto Game" at the end you can check whether you have spotted all the details. More than 100 photos invite you to wonder and enjoy highlights of a fascinating country. 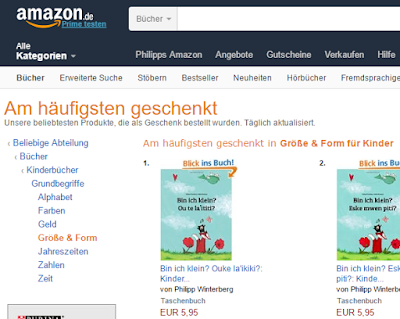 The gift they will receive is the first "World Children's Book" ever. 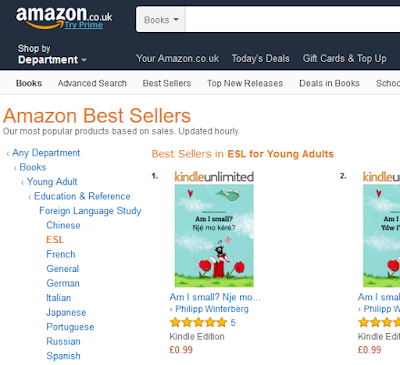 What is a world children's book? 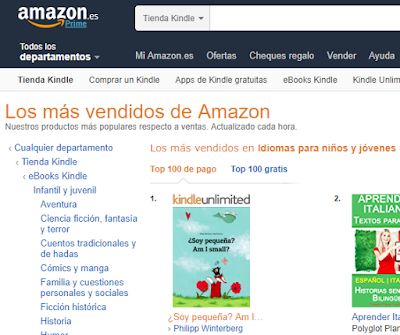 It's a book that is available for every country in at least one official language. 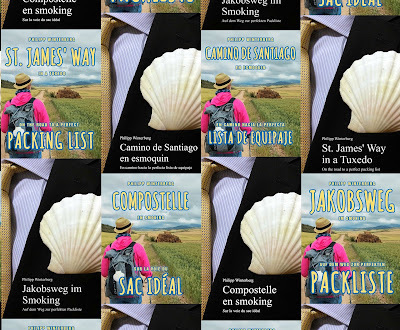 There are 6.000-8.000 languages spoken on Earth today and there are some books, e.g. 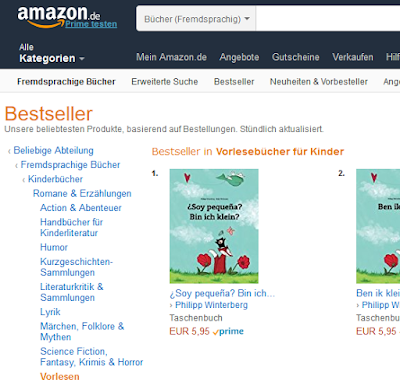 "The Little Prince", that are available in a few hundred languages, yet these books leave out several countries. "Love reading this with my kids! Helps refresh my language skills and my kids love to listen! 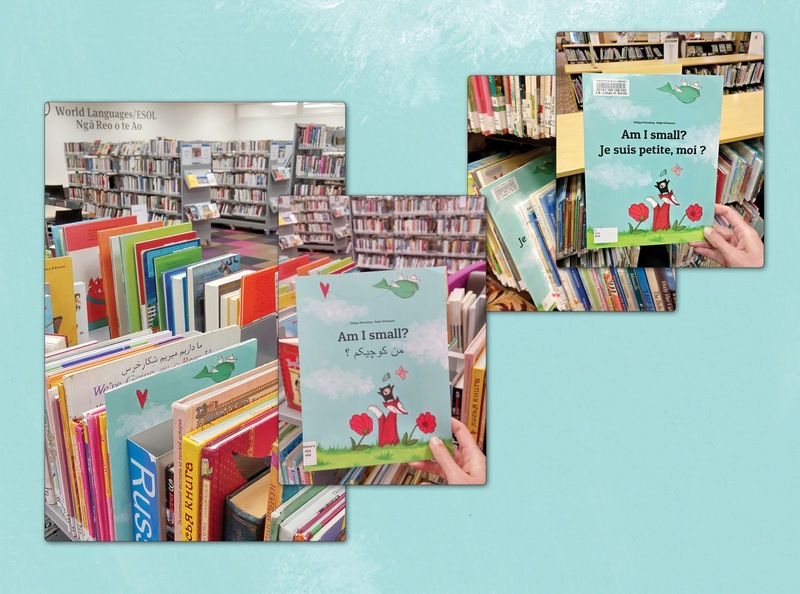 Cute illustrations and a fun story. Great book to add to any library!" Don't be late... don't miss this opportunity... act now! 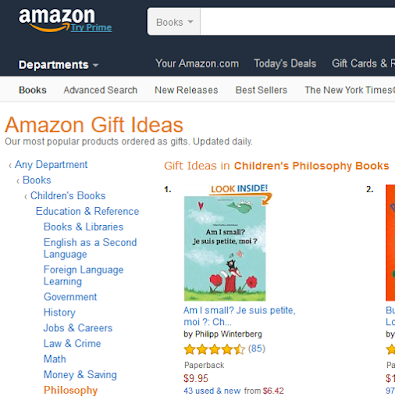 Let your child find this once in a lifetime gift under the christmas tree and celebrate with the whole world! 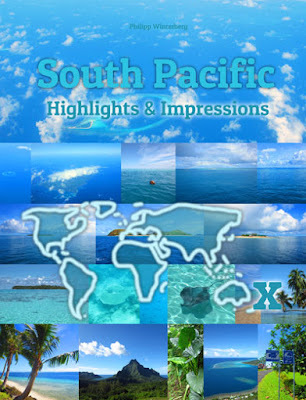 "South Pacific Highlights & Impressionen: Original Wimmelfotoheft #3" - How are the beaches in Samoa, Fiji, Vanuatu, New Zealand, French Polynesia and Tonga? Which color does a Samoan post box have? Are there baby sharks near the beach? What does Fijian money look like? Wimmelfotoheft #3 is not only fun for children, but for South Pacific fans of all ages. It has almost no text, but many, many photos. With the "Wimmelfoto Game" at the end you can check whether you have spotted all the details. 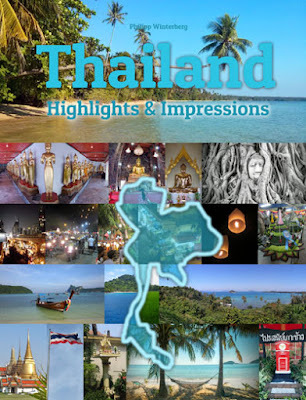 "Thailand Highlights & Impressions: Original Wimmelfotoheft #4" - Are there elephants in Thailand? Which color do post boxes in Thailand have? Wimmelfotoheft #4 is not only fun for children, but for Thailand fans of all ages. It has almost no text, but many, many photos. With the "Wimmelfoto Game" at the end you can check whether you have spotted all the details. Most Wished For in Children's ESL Books: "Am I small?" 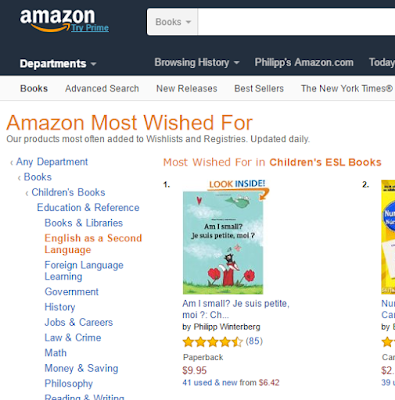 Which children's book is most wished for on Amazon in "Children's ESL Books"? 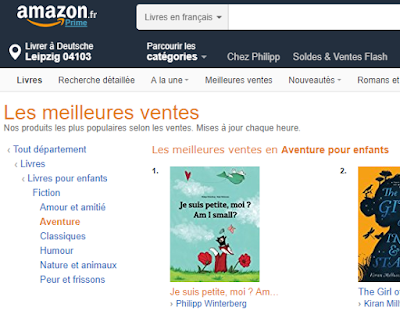 Today it's my dual language picture book "Am I small? Je suis petite, moi ?"... Many thanks! Have you ever seen Amharic writing? Do you know a few words Dhivehi? 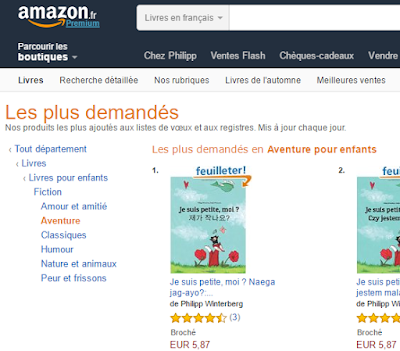 It has never been easier to discover the world's languages with the help of bilingual children's books. 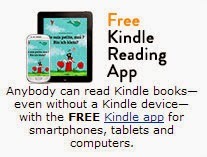 Celebrate With Us: Read World Children's Book For Free! 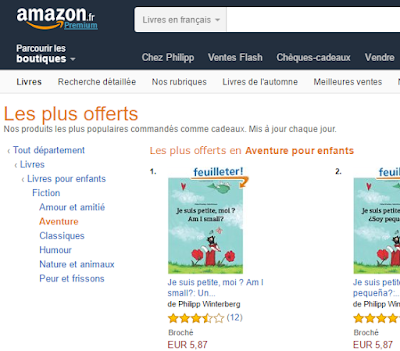 Celebrate with us: From now until the 5th of April 2016 there will be many bilingual eBook editions of "Am I small?" available for free. On International Children's Book Day (April 2nd 2016) more than 100 eBook editions in 33 different languages will be available for free. 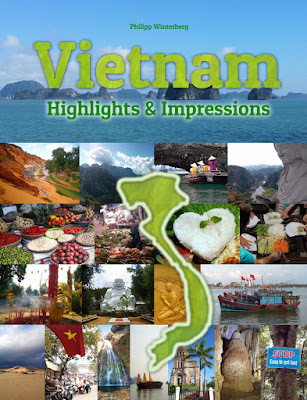 "Vietnam Highlights & Impressions: Original Wimmelfotoheft #1" - Are there toy water buffalos in Vietnam? Which color does a vietnamese post box have? How many flowers can one transport on a motor bike? What does vietnamese money look like? Wimmelfotoheft #1 is not only fun for children, but for Vietnam fans of all ages. It has almost no text, but many, many photos. With the "Wimmelfoto Game" at the end you can check whether you have spotted all the details. More than 150 photos invite you to wonder and enjoy highlights of a fascinating country. 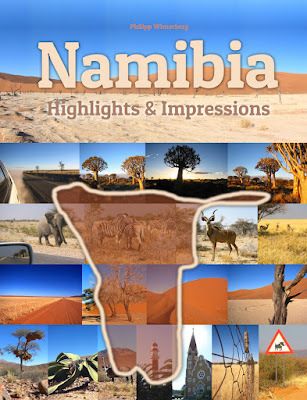 More than 120 photos invite you to wonder and enjoy highlights of a fascinating country.